Browsing articles in "Design Inspiration"
Insane and restless rate of city life undermines us all. This fast and mad rhythm dictates its own rules and we as inhabitants of this environment have to adapt our lives to catch up with that unruly tempo. Our dwellings are directly affected as well, making us adapt our houses, apartments and offices to be able to store all of the documents, drawings, office and business items, books, professional tools etc. There are so many things, so important and useful to us, lying in dark rooms on dusty shelves, leaving us no single chance to find them. They are hidden on numerous bookshelves, sideboards and old cabinets/bedsides and corners creating a disorganised environment. And here comes the remarkable moment. 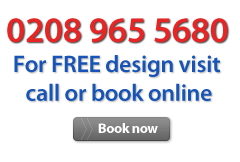 When the volume of necessary and useful things needs to increase and becomes critical and less and less of the available space remains at your disposal, the thought of getting a fitted wardrobe will be the ever best solution for finally restoring the right order within your house/apartment or office. Fitted wardrobes are not only meant to be functional, but they are a unique possibility not only to attach the necessary trifles but also to give any room a remarkable makeover, adding more style and grace. 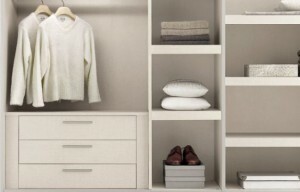 Fitted wardrobes with ease can fill practically any unoccupied niche indoors and also to make it completely useful. As the usual height of the bespoke fitted wardrobe is in full height of a niche, it means that the free, empty space is used as well as possible. Thus it is important that the ceiling, walls and the floor of the niche have a good appearance because they will be internal surfaces of your fitted wardrobe. A bespoke and made-to-measure fitted wardrobe almost doesn’t limit us in selection of accessories. 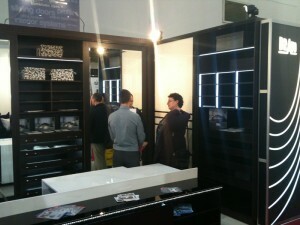 For example, various ranges of materials for the doors can offer more than two hundred options. There are surprising colours of melamine, great range of real wood and veneer, colour glasses and mirrors and graceful real and imitation leather. 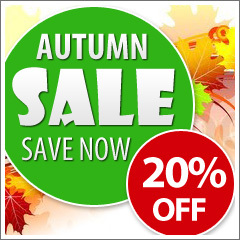 Also meet our innovative and the most remembered options, such as a photo printing on your fitted wardrobes and art processing of glasses and mirrors of doors of the sliding door fitted wardrobe. Talking about the internal design of your fitted wardrobe, fitted sliding door wardrobes also offer a big range and convenience of accessories. Push-to-open baskets for linen, hangers for trousers, pull-down hanging rails, shoe racks and every single possible option of lighting will not leave you indifferent when designing your bespoke made-to-measure fitted wardrobe. In the course of drawing up of the drawing of the fitted wardrobe we advise to listen to remarks of your designer, he will prompt to you on the design interior of the wardrobe. Our designers prevail your choice and taste but are always there to advise on the technical and functional aspects because manufacturing of modular furniture is a very serious matter, and there are a lot of “reefs” which are well known to the professional. At last, the project is drawn, the deposit is paid and your wardrobe is sent to the production line. Production of the fitted wardrobe takes usually from 10 to 16 days. Installation and delivery very often occur during the same day with some more complex cases taking two days. During the inspection of your fitted sliding door wardrobe pay attention to the external condition of all details including the aluminum profile, functioning of a racks, baskets and pull-down hanging rails. Look at how the sliding doors move. Sliding is obliged to be smooth, and at the moment of opening and closing of a door should occur at minimum effort. These are standards that we go by and this allows to judge quality of a profile of the sliding wardrobe and the sliding system itself. And in the end, we advise to you to familiarize with usual rules on use and care of cabinet furniture, to help you to avoid any possible problems. That is it! Your fitted wardrobe will now and with honour carry out its defining function to protect you from a problem of space deficiency. Enjoy yourselves! What is fitted kitchen? Answer from Fitted Kitchens Specialist. A fitted kitchen is a representation of accurately created, ideally designed option of kitchen set that is created taking into account sizes of the rooms and individual outline. A fitted kitchen settles down so that no special furnish of walls is required, making the whole installation and fitting process easy and convenient. In the past, kitchens simply consisted of separate standard modules, which did not offer a special variety in designs, and visual and aesthetic difference. Fitted kitchens are designed to “hide” household appliances, while retaining the unity of the design solution and uniformity of the style of your room. Such solution will allowkeeping cosiness and comfort atmosphere without limiting the possibility in functional and production-maximizing hardware. The reason for the emergence of fitted kitchens was a necessity to find a solution to the problem of limitation of space.Such problem was only strengthening the desire to become an owner of a convenient multipurpose kitchen that would combine practicality, compact size and functionality. This is how the fitted kitchen was born and created a combination of identity, quality and convenience. 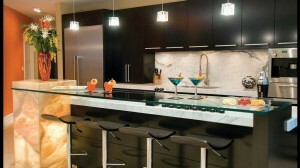 Fitted kitchens are a great way to satisfy those buyers who are looking to make their house unique and comfortable. A fitted kitchen is a great solution for any room of any size and any individual outline and creates the possibility for achieving a harmonious design of a room. 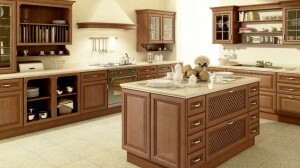 Facades of kitchen will close all roughness and ledges, and also will hide superfluous equipment. A dense adjunction of sets of furniture components to each other and to walls of the room will not allow liquids to leak on the floor and will relieve of dust and litter getting into crevices. 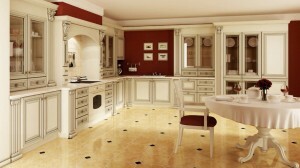 A fitted kitchen is not only convenience and functionality, but also comfort and joy of using your unique furniture set. After all such kitchen allows equipping the space so that each corner of your room will be used with the maximum advantage. Built-in fitted cases, niches, every possible box – all give the chance to contain all kitchen utensils and thus, without crowding the precious space, to create the cozy atmosphere and also offer an interesting interior decision. Such kitchen allows for making your space unique, while considering all features of a room. 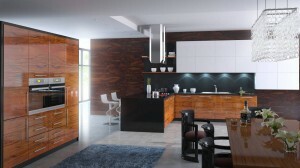 Identity and practicality — are those lines which distinguish fitted kitchens, and thanks to a wide variety of model ranges, designs/styles and the materials used at their manufacturing (kitchens from MDF, wood, plastic), – it has never been easier to create a unique fitted kitchen for all tastes! Which fitted kitchen is best? Your fitted kitchen will be a direct reflection of your style and individuality and a wide range and choice of materials will allow for improvisation and creativity. A perfect fitted kitchen is a kitchen designed by including all of the small details and putting the materials and choice of colours together, creating that ultimate look. Measurements, components, individual needs and taste are without a doubt the most crucial components for assembling and fitting the kitchen at your house/apartment. As fitted kitchens combine many components, planning and design is vital and very important. Every small detail matters, that is why in the hands of professionals, designers you will feel confident about planning for your fitted kitchen. It ultimately brings us to the conclusion that there is no single universal answer for which fitted kitchen will suit you best- this is very individual and depends on several factors. These factors are always considered by our professionals and are thoroughly incorporated into the design and planning stage of the project. A wide range of kitchens from Classic to Modern, bright and eye catching luxurious design and quality is what makes Bravo bespoke kitchens so unique. Comfort, functionality and ergonomics of our kitchens are provided at the expense of the use of reliable accessories for decoration and appliances from leading world manufacturers. 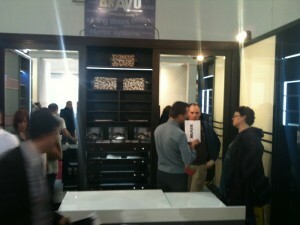 Bravo London Limited took part in the annual Grand Designs Show at Excel Centre- the no. 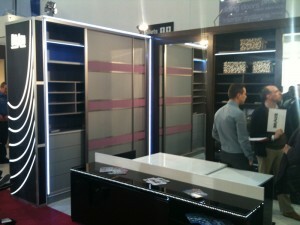 1 consumer show exhibition for self-build, design, interiors and innovation. The show is held every year on the 5th-13th of May. This years’ exhibition was our 3rd show and saw us presenting an entirely new range of sliding door wardrobes and high-end furniture. Influenced by creative designs, art and latest technological innovations, we assembled a bright and breathtaking exhibition stand. Influenced by the latest trends, contemporary, modern, ultra-modern and traditional sliding door wardrobes are the ultimate way to express the power of design inspiration. Quality materials, use of new technology and development of new storage solutions were the main components of our approach to making the perfect display units. Our designers had a whole year to come up with something entirely new and bright. After months of research, design inspiration and planning, our designers introduced our best yet range of sliding door wardrobes: Chelsea, Belgravia and Windsor. Our designers went even further to introduce the unique flush sliding door wardrobe units- Solo and Bravo. These units and their design were a real challenge. Combining ultra-modern and stylish design these units also displayed a mechanical excellence. A unique sliding door system in combination with a slight pull allows the door to travel sideways, exposing the interior part of the unit. Another slight push and the door comes back to its original position aided by the self-closing mechanism. 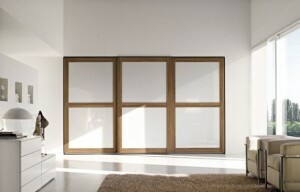 We now have numerous requests with regards to the sliding door units and the new sliding door wardrobe range. Our exhibition stand visitors were fascinated with the beauty and aesthetics of our display units and we now have many requests about the brand-new range. We are also proud to meet the Grand Designs Show Director Kevin McCloud. 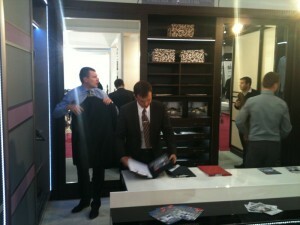 Mr. McCloud paid our stand a visit and was very interested in the exhibition stand. We were very happy to meet Mr. McCloud in person and have given him some of our brochures with further information on our whole range of sliding door wardrobes, fitted furniture and kitchens. Our goal for Grand Designs 2012 was to outperform our previous achievements in creating new, intriguing and unique designs that combine not only a stylistic approach but also a technological and ergonomic advantage. Our goal was to present a new range of sliding door wardrobes and sliding door units that would allow to realize and reveal the individuality of any house, dwelling or interior by giving it beauty and lively character. You can find photos from our stand that show the wardrobes, sliding door units and the design of the exhibition display in our images section of the blog.